This is a question that I get a lot, and, in full disclosure, I actually worded this particular version as sort of a summary of all the different ways that it has been asked of me in the past. So, I thought I would provide the answer this week so that I’ll have something to refer people back to when I inevitably get this question again! To put things in context, I usually get this question from people who work inside large companies; usually around the time that they’ve been asked to prepare formal strategy presentations to their executive or leadership teams. 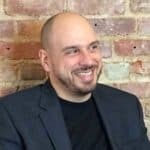 What’s more, it is typically asked from a position of some envy – with the assumption being that small or startup businesses wouldn’t need to bother with the type of strategic formality that is required by some larger companies. By and large, that’s actually a correct assumption. But why is this the case? First, let’s make sure that we distinguish between a strategic process and a formal strategic process. Both follow the same basic formula, but a formal process would typically be guided by some level of documentation and control. Put more simply, a formal strategy is one that is written out. Of course, there are many different variations on this theme, but, by and large, most strategic frameworks will involve these same basic steps to one degree or another. From this (and also based on my own experience with running small businesses), I can pretty safely say that the basic strategic process is the same no matter the size of the company. But I can also tell you that the level of formality for this process undeniably increases as companies become larger. And, this, as it turns out, is mostly out of necessity. Going back to Making It Real, even though almost all of the entrepreneurs that I interviewed followed some variation of the same strategic process, most of them did so intuitively. Until, that is, they had the need to communicate their plans to other people (be those investors, partners, employees, etc.). As soon as that condition existed, some type of a “formal” presentation needed to be prepared. And the more people that were involved, the more “formal” the strategic process needed to be. I ran a 5-ish person company for many years and I can tell you that, even for that small group, I always prepared a formal, annually updated strategic presentation for the purpose of getting everyone on the same page. Why? Because it was a heck of a lot easier than communicating that same information verbally. And, perhaps more importantly, just like the old telephone game you used to play as a kid, the more people that you communicate to verbally, the more likely it is that your message will be lost in translation somewhere along the way. 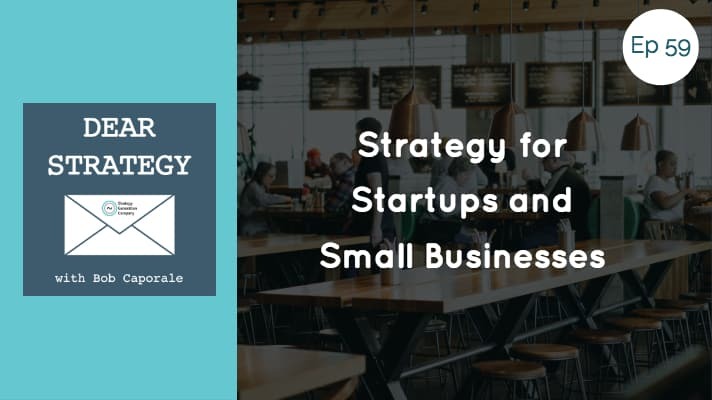 All of this is to say – yes, small businesses and startups should (and normally do) go through the same strategic thought process that large companies do. But the level of formality and detail that are required will be directly proportional to the number of people that need to be involved in executing your strategy. So, larger companies will have more detail and more formality, while smaller companies will have significantly less. 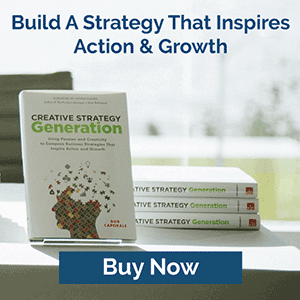 And if you are a 1-person company, you may have no strategic formality at all – even though all the same basic strategic steps will likely still exist inside your head. Of course, none of this is to say that companies with more than one person actually do develop strategic plans to the level of formality that they probably should. But that is more of an oversight than a best practice. Because, as most small businesses will eventually discover – without some way of getting everyone in your company on the same page, you may as well have no plan at all. 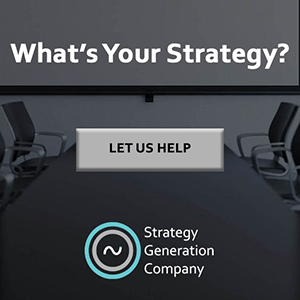 ← Dear Strategy: 060 Is Strategic Planning Dead?